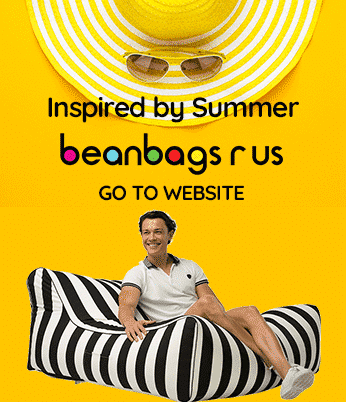 Do you have bean bags in your home but aren’t exactly sure what to do with them? Have you been considering buying a few but don’t know how useful they will be or if anyone will use them? There are many options when using these comfortable seats in your home, such as making a home theatre, creating a reading nook, or even turning your patio or pool area into your private spa! One of the best ways to use large bean bags in the home is to use them to create a home theatre. A home theatre is a good option because it can bring the entire family closer together without having to spend a lot. The easiest way to create your home theatre is to choose your seating carefully. For the ultimate movie experience, we recommend picking over-sized beanbags so that everyone can get comfortable, no matter where they sit. When it’s time to watch a movie, drag the seats toward the centre of the room and arrange them in a way that lets everyone see the television screen. For some, this may mean adjusting the bean bag to sit more upright or lay flat, depending on their height or position. They may also need to be moved slightly off to the side. Once the chairs are in place, all you need to do is pop some popcorn and start the show! After the movie is over, the seating can be moved to the side or returned to another room. Another good use for large seats like the Hayman is in the family room or the den to create a cozy nook for reading, checking email or unwinding after a long day. There are several great ways to use these larger seats in a room like this, which is why it is a top pick for anyone who wants to create a great family spot in their home. The first is to set one or two of the seats up near a window or in a corner and adjust it so that it sits upright, similar to a recliner making it easy to lean back and read or use a tablet or laptop. To complete the area, try adding a small table or a short box or basket so that family members can keep a drink nearby, or store their books or toys when not in use. If your family room or den is a little crowded, you can also store the seats when they are not in use. Options like the Hayman or Portsea are easy to stack in a neat pile in a corner or closet. Last, but certainly not least, the Hayman or Portsea bean bags can also be used to turn your patio or pool area into a luxurious lounge area for soaking up the sun or just relaxing poolside. The advantage of using one of these two models is that they are suitable for being used outdoors, and can handle getting wet and being left out in the sun without getting ruined. No matter how you choose to use them, our large bean bags are the perfect addition to any home and will be an instant hit with every member of your family!